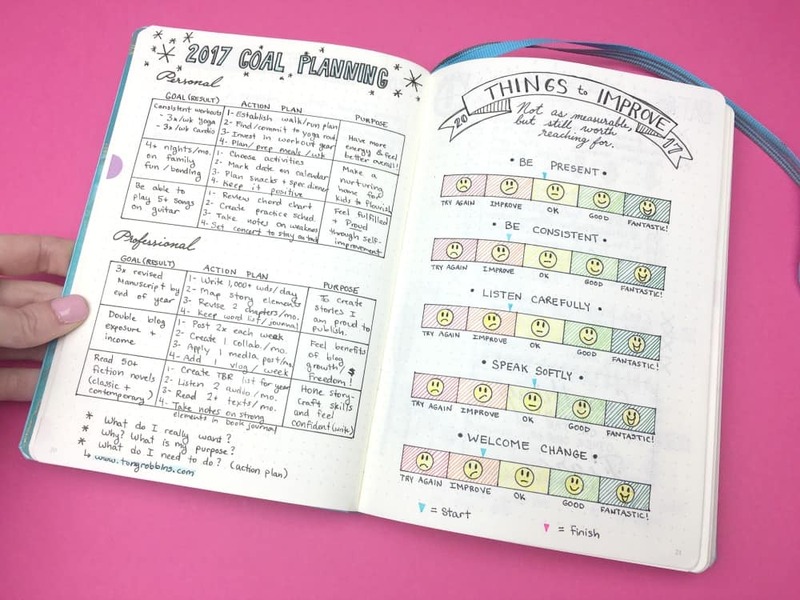 Have you set up your 2017 Bullet Journal yet? Here’s a look at my setup, including life-changing pages to get your year off to the right start! We’re down to mere days left in 2016, and I couldn’t be happier about it. I’m closing the year out with a grateful heart, but the promise of a new beginning in 2017 is calling to me. The new year is always so alluring, like clean cotton. Fresh. Clean. 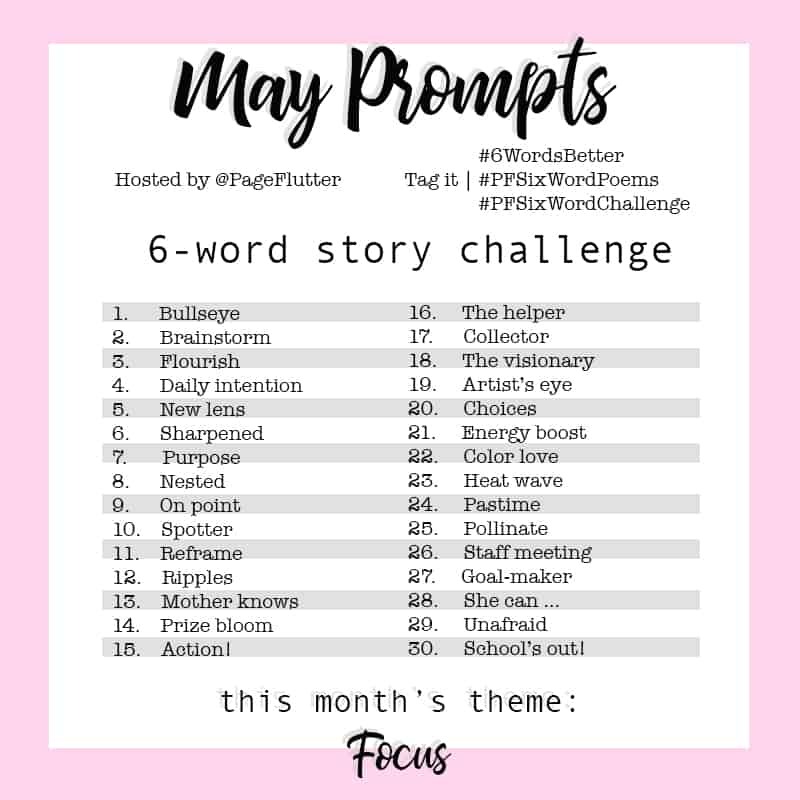 A blank page waiting for words to fill it. Of course, for Bullet Journalists, that’s literally the case. We have fresh pages patiently waiting to be turned into plans for the Best. Year. Ever! 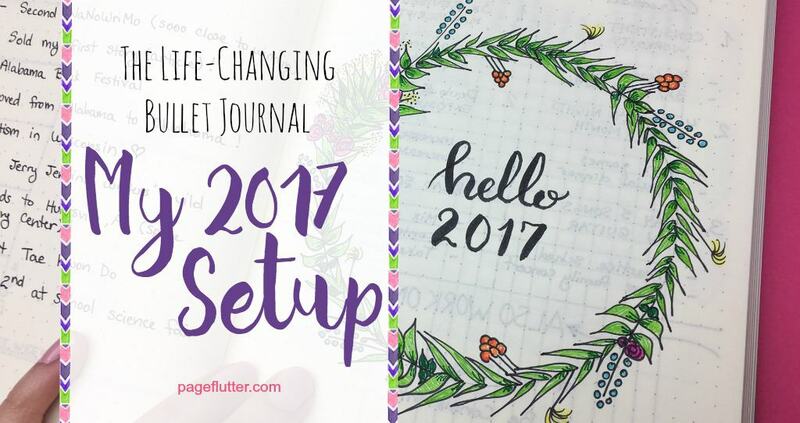 I’ve finished most of my setup for 2017, and I wanted to share it with you as you prep your own 2017 Bullet Journal. 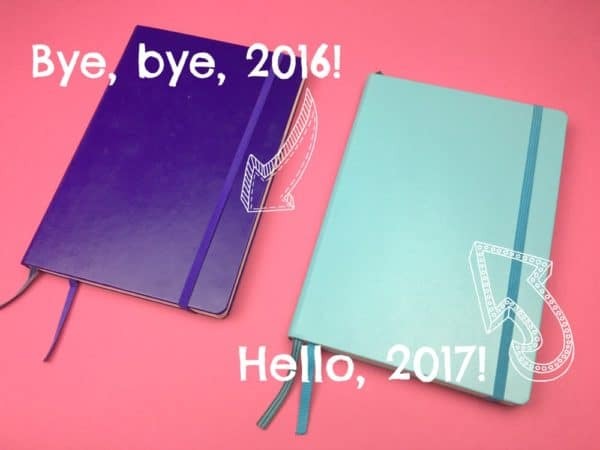 (Confession: I ran out of pages and had to switch to the blue one in December. It’s all good. I’ll show you how I made a fresh start anyway). I went through the old journal and marked the collections I wanted to continue in the new journal. There were only a few that made the cut. I can always choose to add more later if I change my mind. I used a purple Leuchttrum1917 for most of last year. Wasn’t she beautiful? I’m switching over to a light blue Leuchttrum1917. *I get my journals at J*B Welly. I’ve had much better customer service with them vs. Amazon sellers. On that note, let’s pause to talk about supplies real fast. I will never say you have to use a certain type of notebook. It’s all about how you use what you have. Some of the most effective journals I’ve seen were made in $0.50 composition books. The most important thing is getting started. I’ll share my preferences with you, but do what makes sense for you. Sharpie pens, Fine (NOT markers. Pens, pens, pens). I always stack my planning pages at the beginning of my journal. It makes them easy to find. I used a year-at-a-glance page (with traditional calendar months) as my first page in my 2016 journal and really liked it. Repeated in 2017. 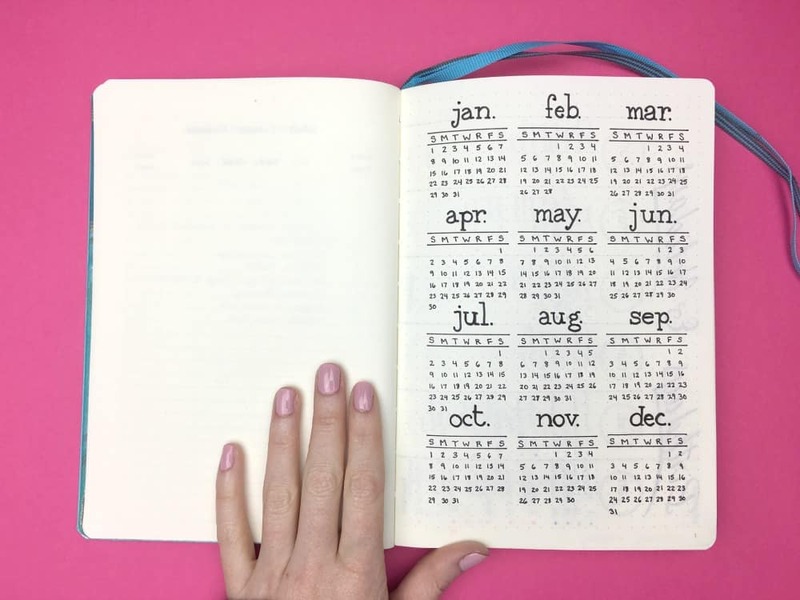 The page doesn’t take long to make, and it’s a great cheat sheet to use throughout the year. I changed the format of my birthday/holiday calendar in my new journal. So far, I’m pleased with the adjustment. Green dots are birthdays (blurred to protect the guilty…*ahem* my family), blue is for holidays, and pink is for fun internet holidays (things like #NationalDonutDay). 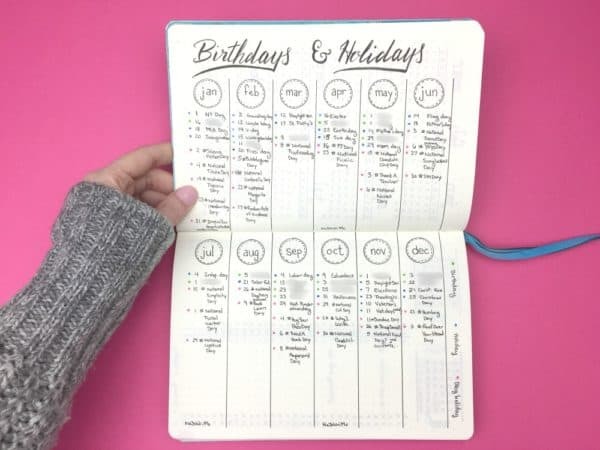 My old boxy layout didn’t allow me to list as many dates. You can compare pages from my 2016 journal >>HERE<<. Since I ran out of pages in my old journal, I had to switch over early. I wasn’t able to plan the order of my new journal as well as I would have liked. 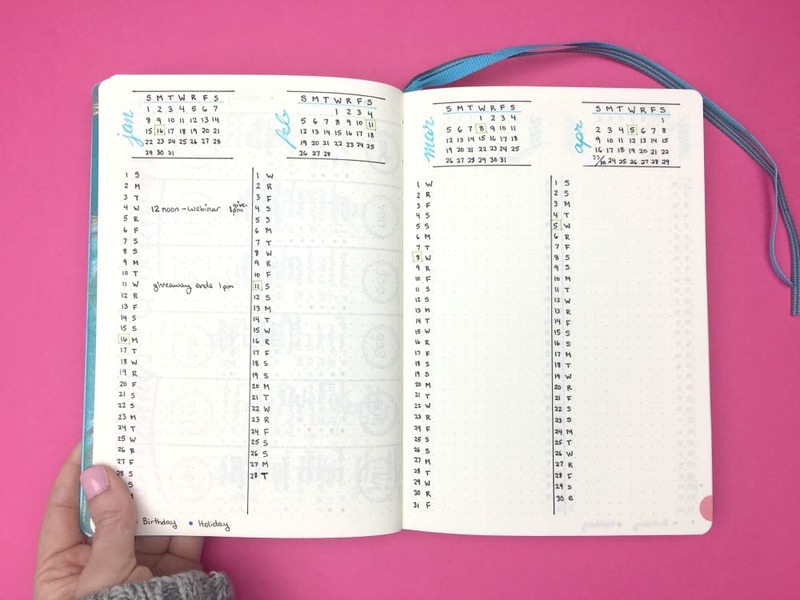 This is why Ryder (the innovator behind bulletjournal.com) always tells people to start a new journal at the beginning of the year. I see what he means. I’ll plan the timing of my changeover a little better next year. Here’s a look at my annual goals I worked out in my goal-setting post (<— there’s a free printable worksheet there, too). I put my concrete goals on the left, along with action items and the purpose behind the goal. I also have some less concrete goals on the right. Things I want to work on, but are hard to measure. I gave myself a little sliding scale to grade my progress at the end of the year. I recapped my highlights of 2016 and had some fun making a pretty cover page for 2017. If you follow me on Instagram, you’ll see my regular planning pages are quite simple. I save my creative efforts for the special pages (like a new year)! So, I created a quick recap to satisfy my need to control things. That way I’ll have eyes on my goals every time I update my monthly task tracker. 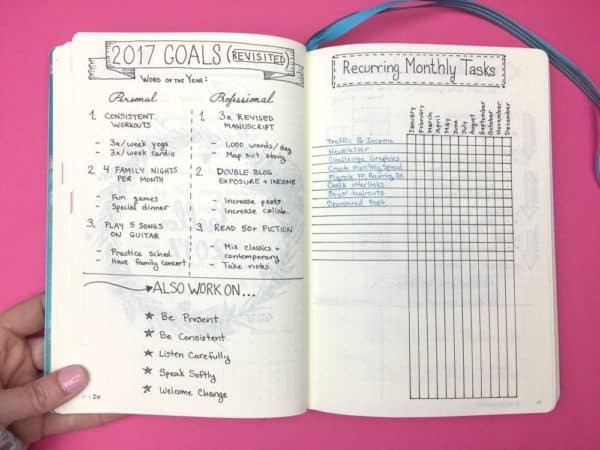 This recurring task tracker is a trick I picked up from Kim at Tiny Ray of Sunshine. It’s new for me this year, but I think it will be a seamless addition to my monthly planning checklist. I also took the time this year to formalize my system and planning routine. I can reference this page to make sure I haven’t forgotten anything in my setup. Even though I’ve been doing this for a long time, having a checklist to fall back on takes the burden off my brain. Slow. Slow. Brain. I like to think of my regular spreads and the core or foundation of my journal. They keep me consistent. 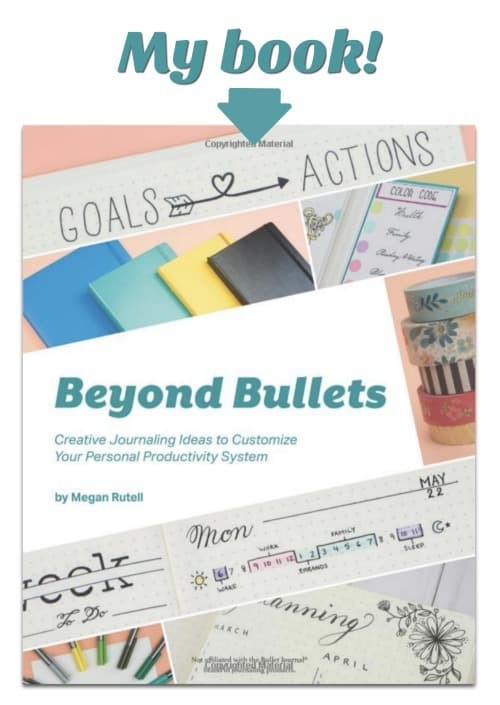 A lot of new bullet journalists will jump straight to, “I’m taking up Bullet Journaling! What collections should I start?” Slow down there, Turbo. I get it, I’ve been there. 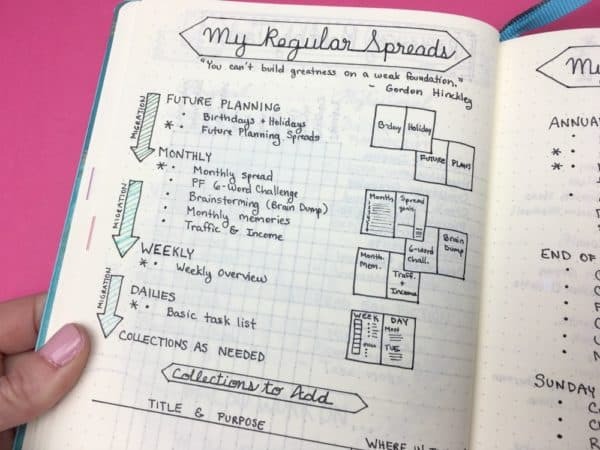 The freedom to create collections is one of the advantages that attracts people to Bullet Journaling to begin with. 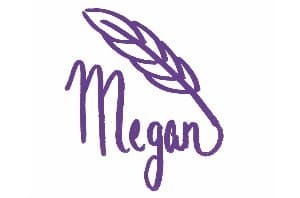 The prospect of pretty spreads is exciting! But take the time to build an intentional planning system. Meaningful collections will spring naturally from your life. And since I don’t want to go overboard on collections, my next page is my January monthly spread. 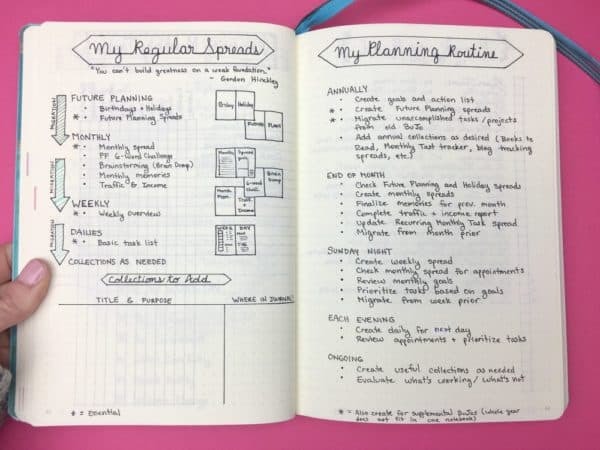 With renewed focus on my goals, I can get back to my regular planning routine. Bring it on, 2017! 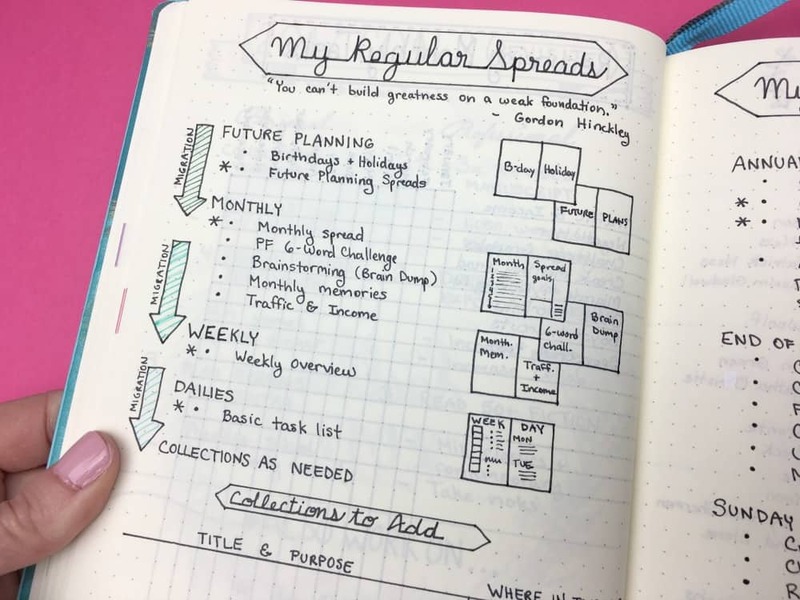 Which spreads are the foundation of your journal? 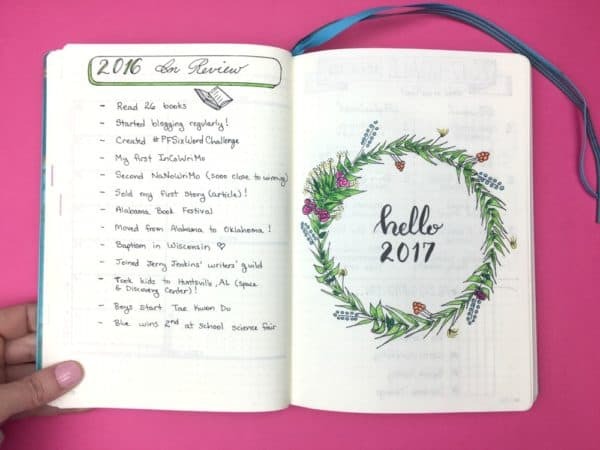 Do you move to a new journal for the new year? 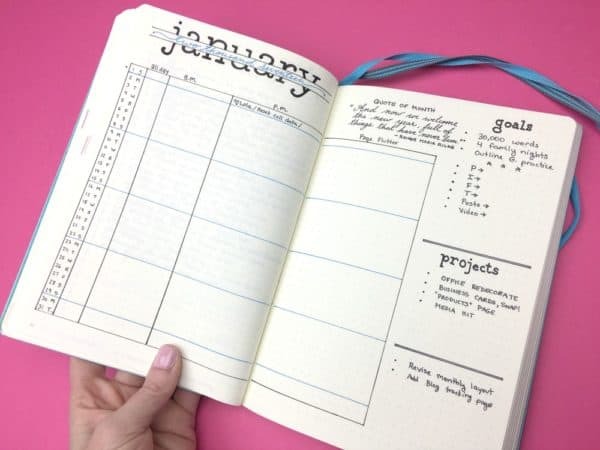 Comment below with your favorite tips and tricks to make Bullet Journaling your own! I’m using a Hobonichi this year, A5 size. I love how you did your birthday/holiday spread. May have to give that a try. Hi, Judy! I have lusted after the Hobonichis for about a year. I’d love to hear how you like it. One of these days I will have to take the plunge. Happy journaling! Woo! 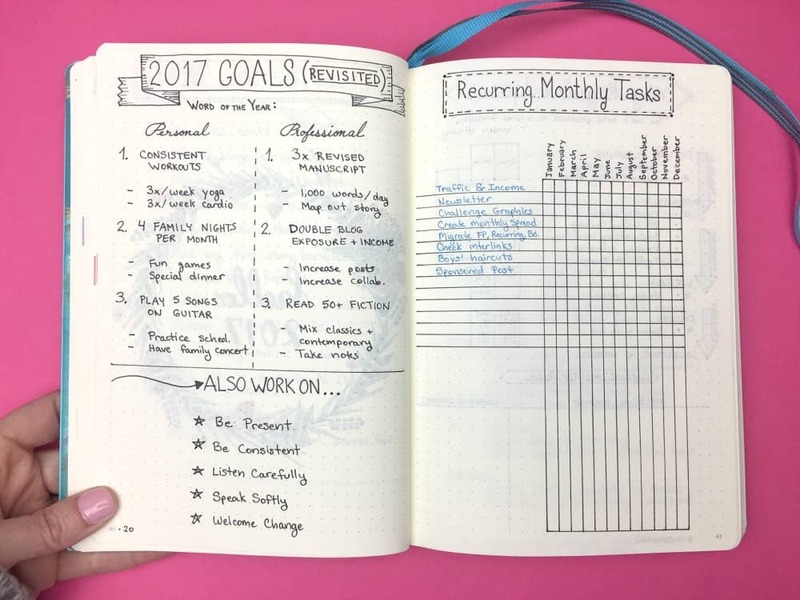 Excited to see you’re taking the monthly recurring tasks tracker for a spin 🙂 Hope it works for you, Megan! Also liking the things to improve tracker, very clever! Wow, I’m really impressed and am going to use a lot of what you shared. Thank you!! Lovely pages. Thanks for the inspiration! Gorgeous! I feel so inspired!